'I Capture The Castle', by Dodie Smith, is a wonderful book narrated by a seventeen year old girl living in an old, ruined castle, called Godsend, with her beautiful sister, younger brother, glamorous step-mother, author father and love-sick admirer. It is set in rural England, in the county of Suffolk, in the mid-1930s, before war destroyed everything for a second time. But the England described in this book seems more like that of an ealier time, owing to the elegant poverty the family find themselves in, the Midsummer rituals and the glorious castle moat! Cassandra Mortmain, the narrator, begins the story sitting on the edge of a draining board, with her feet in the sink. From the first instant we simply adore her. She has her dog's blanket and a tea-cosy beneath her for comfort, delighting in the warm glow from the kitchen range. This story is her journal, written in three different notebooks, each one more expensive than the rest, the first one being the cheap six penny copybook, and each increase corresponding to a rise in the family's good fortunes. Indeed, the family's poverty is shocking, with basics like jam and eggs being celebrated as delicacies. These young women are in dire straits and will do next to anything to better their circumstances, with Rose, the eldest sister, warning the others that she plans to walk the streets for money, although, Cassandra reminds her, there probably wouldn't be much business in that line in rural Suffolk! And the whole idea of marrying for money becomes a central theme of the novel when, just like in Austen's 'Pride and Prejudice', two young gentlemen of means arrive in the neighbourhood. Just before this happens, Cassandra actually says how she would love to live in a Jane Austen novel, but then declares that she would rather live in a Bronte one. Which novel is preferable, an Austen one with a touch of Bronte, or a Bronte one with a touch of Austen, Cassandra wonders? She finally decides that a mixture of both would be the ideal and this is exactly what we are given in this novel. On the one hand we are presented with the Jane-Bingley, Elizabeth-Darcy conundrum, while at the same time, living in the castle is a young man who has been brought up almost as a family member, but who is actually like a servant to the family, being the orphaned son of the old house-keeper. He loves Cassandra deeply, although she sees him too much like a brother to allow any physical intimacy - well at first anyway. Doesn't this storyline sound familiar? Yes, it mirrors that of Cathy and Heathcliff in Emily Bronte's 'Wuthering Heights'. How delightful to have both of my favourite plots co-existing in the same text. For this alone Smith's novel is worth reading. And she carries it off beautifully. It is the atmosphere of young, frantic, love, that links these two novels and that she captures so perfectly here. The whole novel is dripping in the newness of first love at seventeen; the dizzy heights of it, the utter anguish and the crushing conviction that life will never be the same again - good or bad - because of love. If you have forgotten how being in love at seventeen feels, then Dodie Smith's book will provide welcome reminder. Of course the name of our heroine is also a nod to Austen, Cassandra being the name of Jane's only sister and confidante. That being so, then perhaps her sister represents the typical English beauty - the English Rose, who so enchants the young Americans. Maybe then, the family surname, Mortmain, relates to the ruineous situation that the family find themselves in, mort being latin for dead. Or perhaps it refers to how paralysed their father is, suffering from chronic writer's block, the artist in him being dead to the world which forces his daughters to sell everything they own to survive. Perhaps it was with a smile that Smith named her American millionare family 'Cotton', which suggests comfort and freshness, while at the same time hinting at new money, perhaps gained from industry and American enterprise. In this way, the British way of life is pitted against the American, like so many previous novels, such as 'The Shuttle', by Francis Hodgeson Burnett or 'Portait of a Lady' by Henry James. It is interesting to note that Smith wrote the novel while she was homesick for England and living in California, which very much explains the romantic depiction of Suffolk and the celebration of modernity of America, with its new gadgets, its energy and vitality. It is interesting to consider how the co-dependency of these neighbours would be mirrored in a few years time when Britain would rely on the United States for these very same attributes, in the Second World War. So on one level, I think Smith is considering how these two great nations, although being very different and independent, each need and rely on the other, culturally, economically and even politically. Dodie Smith's style of writing is enchantingly funny and very observant. 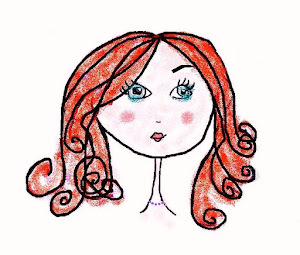 She captures funny moments that we can all relate to, much like a comedian can. For example, she says of her sister's old dressing gown; 'She has been wearing it so long, I don't think she sees it anymore...if she were to put it away for a month and then look at it she would get a shock.' How true that is! Being a first person narrative, the novel is full of such honest witty observations. Funny situations too litter this book, like when Cassandra bathes in the bath tub recently used for dying clothes and ends up with green arms ; or when Rose is mistaken for a bear when she wears her great grandmothers old furs out in public and is chased by half the village. In this way, the book reminds me of the Nancy Mitford novels, 'Love in a Cold Climate' and 'In The Pursuit of Love', having the same blend of elegant-poverty, high-romance, and light humour, and embarrassingly eccentric families. One original thing that I found when reading this book is the insight I gained into the whole idea of marrying for money. The girls are so desperate, they are without clothes, food and the barest of essentials, that they make the sensible decision to use whatever means possible to pull themselves out of poverty. It seems very improbable, but by the time the Cotton boys come along, we too are egging the girls on and are happy for Rose to sacrifice herself to either of the men, even when one looks like the devil with his little goatie. I think this novel is more Jane Austen that Jane Austen novel! Indeed, in 'Pride and Prejudice,' only a minor character, Charlotte Lucas, marries for money. Neither Lizzy nor Jane suffer that fate, although Elizabeth suffers a near miss with Mr Collins. In this book, Dodie Smith goes so far as to demonstrate the awful poverty that untrained, women of a certain class experienced because they are not fit for employment, only for matrimony, and as such they were in some ways worse off than women in the lower classes, as they could not even earn a living. This is the serious theme of the novel, but one that, luckily, works itself out in the end. I cannot finish without mentioning the many animals that appear in the book. Heloise is Cassandra's beloved white pitbull terrier, who follows and protects her wherever she goes. Smith's love of animals is evident from how she depicts them as almost human in their expressions and behaviour. It is easy to imagine how she went on to write the hugely successful children's story, '101 Dalmatians', later so famously animated by Disney, for which she is most widely remembered today. However, there is much more to Dodie Smith than that, so do yourself a favour and read this delightfully, funny book, and wallow in every page, sitting on the edge of a draining board, feet soaking in the sink or not! Great review, great book! 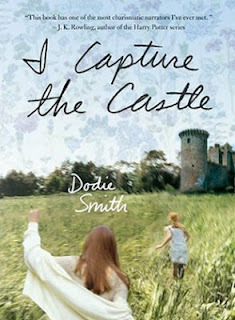 I'm in the middle of It Ends with Revelations, also by Dodie Smith, not a patch on I Capture the Castle, unfortunately. Thanks Lucy. Oh no - 'Hope to find another book as enjoyable as this out there... had hoped she had written more in a similar vein. LOVE this book! Just discovered it when I was in my 50s and have read it many times since! And I love your blog! Thanks so much for writing about such lovely books so lovingly!